Practice can be daunting. Simply finding time and motivation is hard enough, but the biggest challenge is often the question of what to do when you finally start. Where should you start? And what should you do next? All musicians fall into the trap of the “rinse-and-repeat” method of practicing at one time or another. 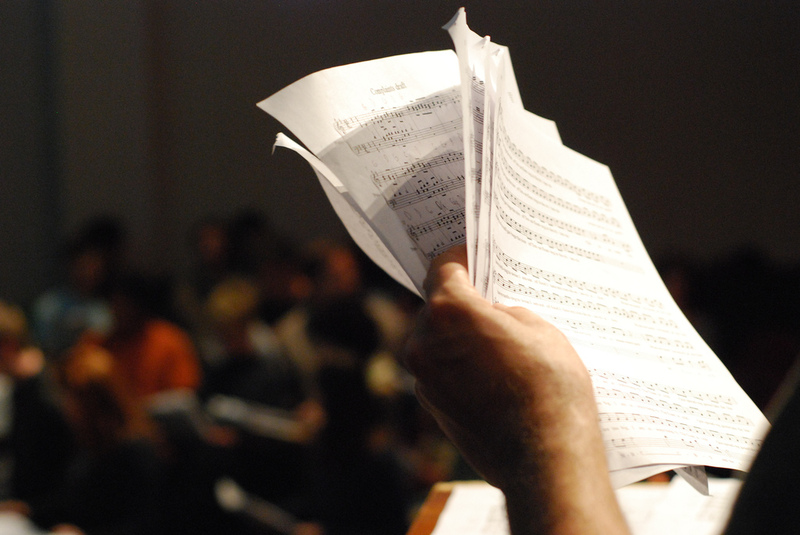 It can be far too easy to just run a song or piece a few times and count that as practice. We fudge over the difficult bits and focus on what we can do. In the run up to a performance, this can be a good way to practice keeping going, but otherwise, it’s fairly hit and miss as to how effective it is. You will get better simply by singing a song over and over and over – how many songs have you learned just from singing along to the radio? But, you won’t ever be able to really perfect the song without looking more closely. How many times have you discovered that you learnt some of the lyrics to a song wrong because you never stopped to look them up or think about what they were? To really get something perfect, we need a better method. Rinse and repeat does one thing really well – looking at the big picture. We always need to look at the big picture of what we’re doing. So the first run through at the “macro” level is really valuable. The problem with “rinse and repeat” is that we just repeat. Instead of using the first run through to identify problems and areas to work on, we ignore the problems and focus on the bits that are working. Unfortunately, the bits that are ok aren’t the bits that need our attention. When you come to practice, grab a pencil before you sing. Then, as you go through, scribble a star or draw a line or circle at the parts where you’re not sure what’s going on. It’s a really simple, physical and practical way to make sure you know where to go next. What “rinse and repeat” misses out on is focus. Repeating over and over doesn’t give us a chance to look at the problems. Instead, we need to zoom in on the issues, and look at the “micro” level to fix the issues. Look back at your piece – the areas which you marked are the best place to begin to look at the micro level. For example, if you’re having trouble pitching a note, you might have marked the note or the phrase. To try and zoom in on it, try singing through the line or phrase with the note in the middle. Can you identify what’s the problem? Are you flat or sharp? Are you missing your cue? 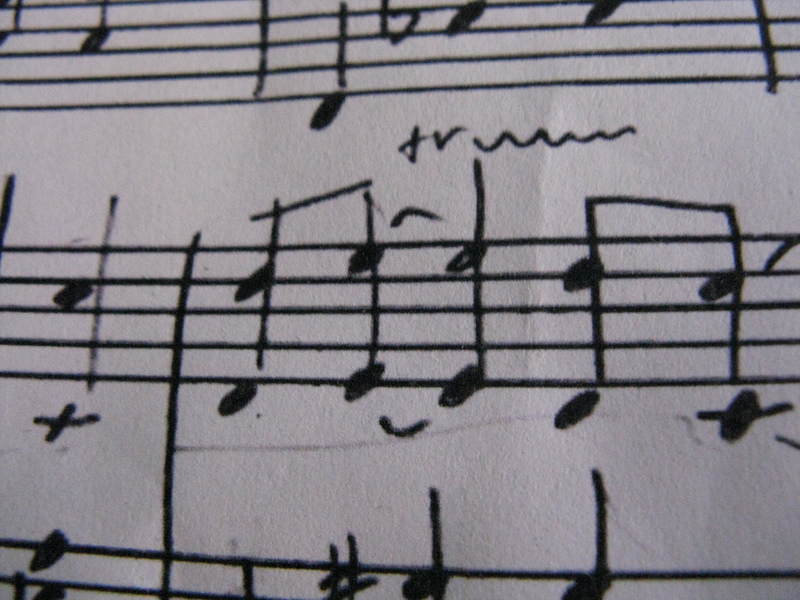 Is it that you’re actually getting the note before it wrong too? Zoom in some more. Try just the word either side. You can even zoom right into the intervals before and/or after. You need to zoom in until you can get it right three times in a row, or until you are confident of it. Once you can get it right, zoom out again to the next level. Don’t go right up to the full song! Just add another layer on. So try your previously duff note in the phrase, rather than the whole verse. If it goes wrong again, try to work out what it is that changed to cause your problems. You can always zoom out from 200% to 180% and then back to 200%. Try to zoom out in stages – bar, line/phrase, half the verse, whole verse, whole song. Once you get back out to a level where a new problem appears, you can zoom in on that one. You can use this process in lots of ways. Micro can mean without the accompaniment, or it can mean a short section with the accompaniment. Macro can mean a single verse, or all three of the songs for the exam one after the other. Micro might mean timing a movement along with the song. Macro might mean trying everything in costume with all the blocking. You can try and fix everything at once, but if you don’t have time, you can just fix one or two things each day. It might be you have to re-fix a problem each day for three days. Your teacher might highlight some ideas of things to fix, but the goal is to be able to identify problems yourself without someone else pointing them out. If you’re really stuck on something, take it back to your teacher. Believe me; your teacher will be delighted! If you’re asking for help, it means you’re practicing at home, and you’re really engaging with the music. So, there you have it: the Macro-Micro-Macro method. It might not work for you, but if you’re struggling to know what to do, why not give it a try? How do you face the music and get practicing? What methods do you use to perfect mistakes? This entry was posted in Teaching, Tips for students and tagged practice, tips & tricks on 17th June 2014 by .